Stick a pin in the map and you’ll find a delectable town, city or region here. Every good chef needs his or her ingredients laid out in advance, however, and that’s exactly what Topflight is offering in its 2014 brochure. Inside, Italy specialists have come up with several gastro getaways – including cookery courses in Florence and a Tuscany tasting tour departing next May. Tastiest of all, perhaps, is a chance to combine a holiday in Lake Garda with a two-day Pasta Academy including wine and olive oil-tasting, lunch with drinks and dinners in two Italian restaurants – along with flights, four-star accommodation and a boat tour – from €1,099pp. Did you know seaweed has twice as much Vitamin C as orange juice? Or that it can help with weight loss, high-blood pressure and food cravings? Those are just some of the insights served up over a daylong foraging adventure with Atlantic Sea Kayaking. First things first – you don’t have to know how to kayak. The pace is gentle, the boats are stable and tandem seats mean novices can take a back seat as guides do the heavy lifting (or paddling). All you need do is sit back and enjoy up-close-and-personal interactions with the coastline, poring over a smorgasbord of seaweeds and sea vegetables along the way. Jim and Maria Kennedy lead the tours – with the occasional addition of food writer Sally McKenna, author of Extreme Greens: Understanding Seaweeds (Estragon, €20). After learning to identify different species, guests are guided to remote beaches or islands so they can cook up and taste the fruits of their foraging. Tours cost €90pp and run year-round. 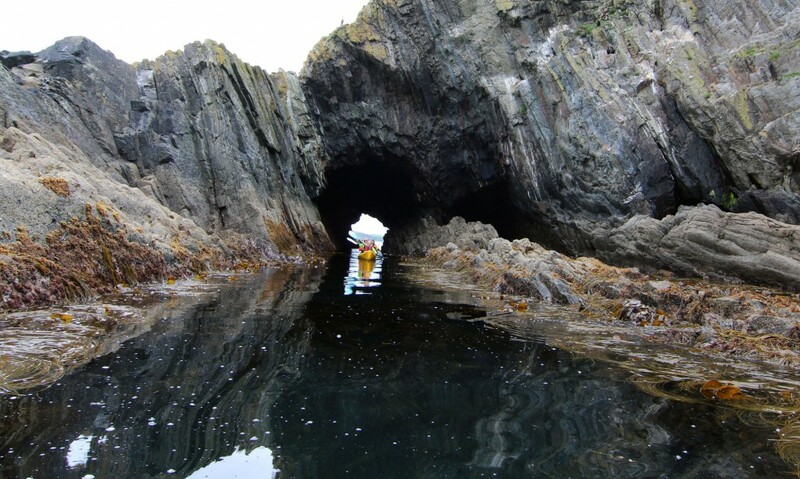 Atlantic Sea Kayaking also does packages with Inchydoney Island Lodge and Spa. A package bundling two nights’ B&B, the seaweed kayaking adventure (10am-4pm), a half-day coastal walk, dinner (often including seaweed) and a packed lunch starts from €350pp. Details: 028 21058; atlanticseakayaking.com; inchydoneyisland.com. 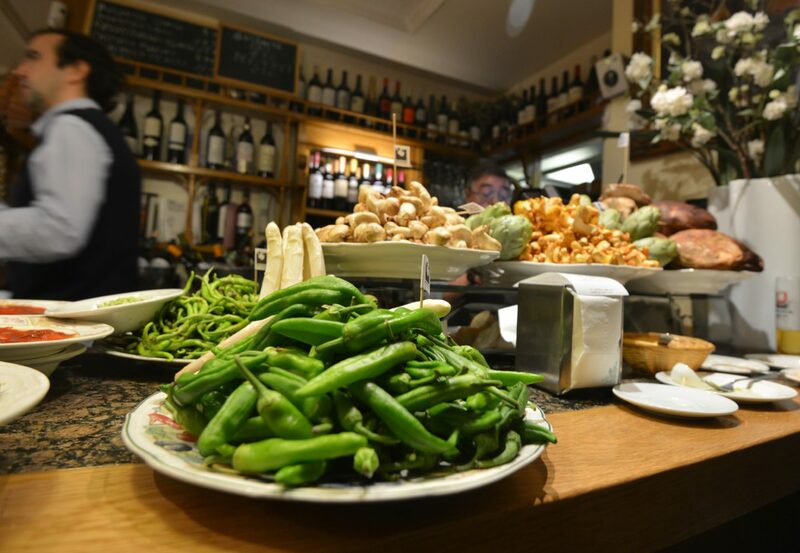 This autumn, Travel Department teamed up with renowned food critic and former restaurateur Paolo Tullio (of this parish) for a tapas tour of Barcelona. The holiday included three days traipsing around the best tapas bars in the city with Paolo, plus an extra two days crammed with excursions including Montserrat, the Park Güell, and a tapas workshop with an expert chef. Unsurprisingly, the trip was a runaway success. So much so, in fact, that we’ve learned Travel Department is now cooking up a whole series of foodie holidays with Paolo for 2014. Full details will be available in January, but we’ve already got wind of another tapas tour in Barcelona, a ‘Cannes & Cote d’Azur Cooking & Gourmet Holiday’, and a ‘Bay of Naples Food Experience’. The original five-day trip cost €779pp, so expect similar prices for these. 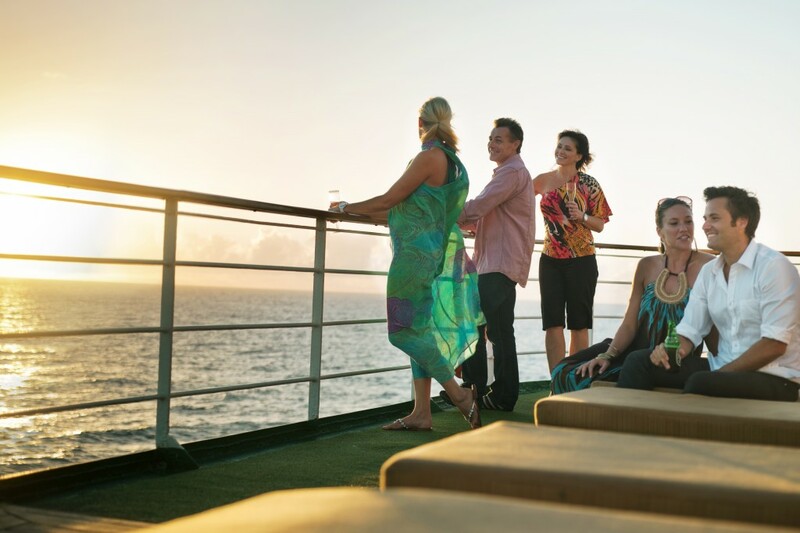 Cruising isn’t for everyone, but it does some things spectacularly well – most notably by providing a floating hotel that takes you from port to port, without having to pack and unpack. For foodies looking to sample several cuisines in one trip, that’s a pretty nifty way of getting around. P&O Cruises has a 17-night cruise departing Southampton on April 13th, with stops including Cadiz, Malta, Venice, Dubrovnik, Corfu, Messina and Gibraltar. The adult-only ‘Arcadia’ features restaurants by Atul Kochhar and Marco Pierre White, and White himself is scheduled to join the cruise from April 27th to 30th. Travelnet.ie has full-board from €2,275pp, with flights. It’s a good time to join the shop. The Arcadia is being refurbished this winter, with a new nightclub and a refit for White’s ‘Ocean Grill’ on the cards. You can expect most passengers to be British, and there’s a pool, spa, casino and lots of shore excursions on the programme too. Details: 021 485-1700; travelnet.ie; pocruises.com. It’s easy to be bamboozled by Paris. Where are the best bistros? Which are the hot tickets, and which the has-beens? Where can you find the most authentic cheeses or chocolatiers, not to mention secret ‘guilt-free’ cupcakes or pastries with a Japanese twist? That’s where a local foodie friend comes in handy. And food critic Rosa Jackson, who has edited several editions of the Time Out Paris Eating & Drinking Guide, certainly qualifies as that. Conveniently, she also runs Edible Paris, which offers bespoke foodie tours of the French capital. How does it work? You send an e-mail outlining your likes and dislikes, and Jackson writes back with a personalised itinerary directing you to the best suppliers and restaurants in the city. Itineraries range from half-day (€125) to three-day tours (€500) and include maps. Jackson says she visits every shop, market and café that she recommends (you can see a sample on her website). Jackson also offers personalised guided tours (€300 for 1-3 people), as well as cooking classes and food tours in another, aptly-named, French city: Nice (petitsfarcis.com). Bon appétit! Details: edible-paris.com. Aer Lingus, Ryanair and Air France fly to Paris. January and February are as off-peak as it gets for tourism in New York. Christmas is toast and the weather is Baltic, sure – but the post-seasonal slump can throw up some great deals on flights, hotels and restaurants, not to mention bargain tickets to Broadway shows. 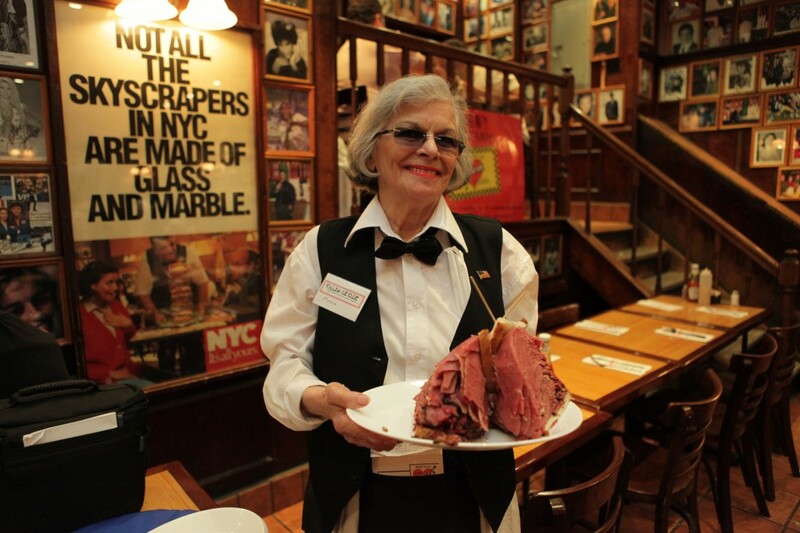 New York offers every kind of food tour imaginable – from the Slice of Brooklyn Pizza Tour ($80, but you don’t have to wait in line at Grimaldi’s) to romps around Chinatown, Nolita/NoHo, Chelsea Market or Greenwich Village with Foods of New York ($65pp, including eats). For a real splash, Sunway is selling Trafalgar’s 11-day ‘New York Zest and New England’s Best’ foodie tour here in Ireland. The itinerary runs from Manhattan to Boston, with insider experiences along the way including a tasting tour in NYC, a visit to a cranberry bog in New England and a spate of cheese tasting at the family-owned Cabot Creamery in Vermont. Yum. Prices start at €3,529pp including guides, flights from Dublin, B&B and several meals. Wine, food and a healthy hike to keep the calories at bay – that’s the offering on this four-day frolic from walking and cycling holiday specialists, Camino Ways. The tour begins in Porto, a stunning city where you’ll enjoy dinner overlooking the Riviera and it’s famous tumbledown townhouses from the banks of the Douro. You can try the traditional Portuguese ‘bacalhau’ (cod) or some of the more contemporary dishes, before enjoying a private tour of the city and its port wine cellars in Vila Nova de Gaia the following morning. Day two sees the first stage of the Portuguese Way (Porto to Fajozes, 15km) with the second following on Day three (Fajozes to Arcos, 25km). Accommodation is included – in Fajozes, you’ll bed down in Quinta das Alfaias, a 19th century country house – from €350pps, but not flights. In truth, you can eat like a king pretty much anywhere along the Camino – from fishermen’s stews in Santander to Galician specialties like octopus (pulpo á feira), Caldo Galego (a broth flavoured with pork lard) and Tarta de Santiago, the almond cake bearing St. James’s cross. Think of it as a present to yourself. Explore has a brand new Taste of India tour with departures in October, November and December 2014. The 13-day trip concentrates on Southern India and includes a visit to Devaraj market with a member of the Mysore royal family, momos-making (traditional dumplings) in a Tibetan settlement, and a visit to Attumukham Restaurant, as featured in Rick Stein’s India. It costs from £1,169/€1,384pp, excluding flights from London.